← KidsBuild! Registration is OPEN! In May 2017, youth programs at BSA Space received a generous award from The Architects Foundation and Armstrong World Industries Foundation to support We Design Together, an innovative partnership with Boston Public Schools. The goals of the program include: raising awareness and appreciation of architecture and design to children who may have never heard of it; allowing architects to teach their unique skill sets (design thinking and collaboration); and assisting the BPS with meeting its goal of introducing students at an early age to community members representing multiple life opportunities. By creating a curriculum for kindergarten students, We Design Together will serve students who may otherwise not have the opportunity for a design education experience, nor work with or hear from an architect. During the 2017-2018 school year, the We Design Together program will be piloted in classrooms throughout Boston. Family Design Day Programs @ BSA SPACE encourage children and adults to observe, explore and design together. In these two hour, hands-on workshops, families are introduced to architecture and design of Boston and the world through exhibit tours, neighborhood walking tours or slide shows, and then complete a hands-on design activity. Architects and Designers lead these programs. Please see our Volunteer Page to volunteer for any of these events. Family Day Programs are designed for children ages five – 13, accompanied by an adult (a maximum ratio of three children per one adult will be required). Tickets are $10/$8 BSA members and Friends of BSA Space. Program begins promptly at start time. Registration is strongly recommended. 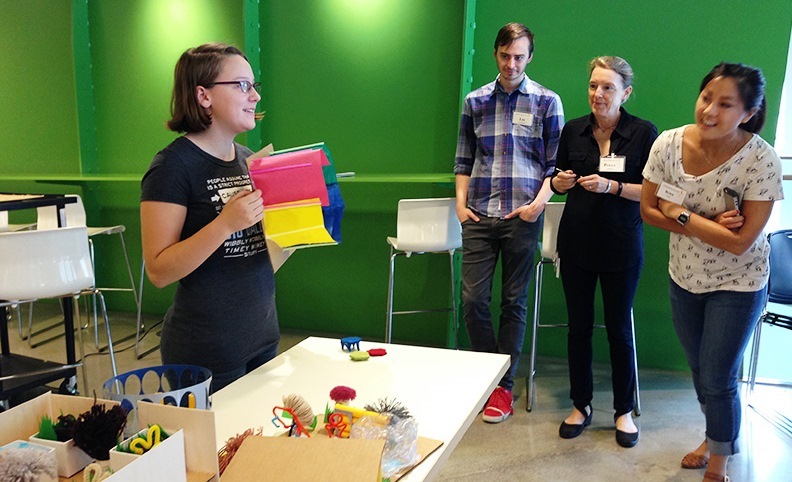 Family Design Days are a program of the BSA Foundation and are supported by Atlantic Wharf.